The countdown has started for the switch-on! 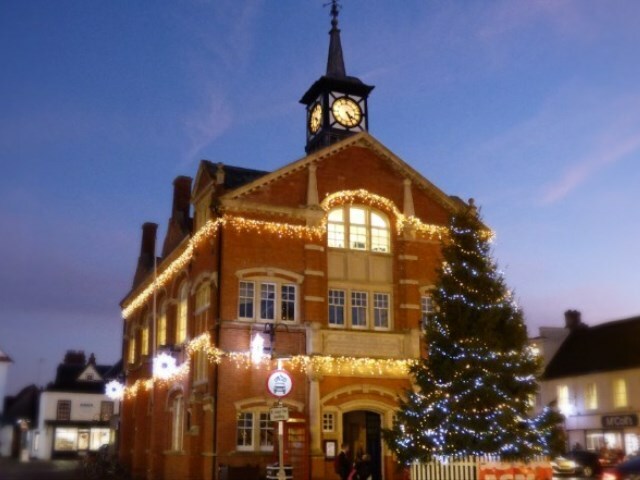 There are just 50 days to go until Thame’s Christmas Lights are switched-on on Friday 30 November at 7pm. Santa has the date in his diary and will be returning to his Grotto from 3:30pm with presents – for those who have been good of course! Following a poll on the ‘Christmas in Thame’ Facebook page asking residents which attraction they would like to see at the event, we are pleased to confirm that two adorable reindeer will be joining us! You will be able to feed and pet the reindeer, and sit in their authentic sleigh. The Snow Globe will return this year and provide the perfect photo opportunity for you and your family and friends! Refreshment stalls will have plenty of hot food and drink to keep you warm, including mulled wine from Thame Lions Club and freshly-made French crepes from Thame & Montesson Twinning Association. Gift stalls will line the High Street whilst many of our fantastic independent shops will be staying open late especially for the event. There will be indoor and outdoor entertainment throughout the event from ten fantastic local performance groups, as well as roaming princesses Rapunzel and Tinkerbell!